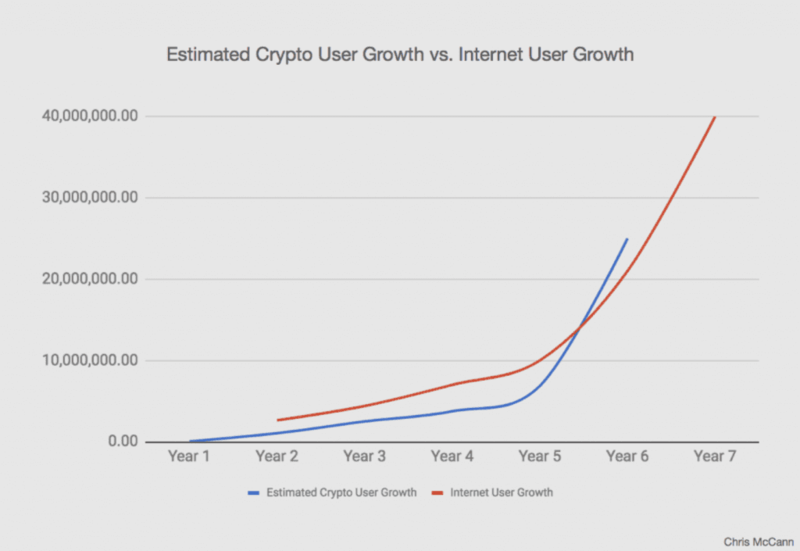 Crypto, and it’s speculatively driven emergence, is often compared to the advent of the internet, particularly the dot-com boom and subsequent bust. Looking back, the internet’s growth and its impact on our everyday lives looks as if it was should have been a foregone conclusion to society in the late 90s- but this couldn’t have been further from the truth. It seems that renowned economists are particularly good at completely disregarding the potential of revolutionary new technologies. One only has to take a quick scroll through Nouriel Roubini’s feed to observe similar sentiment (with far more contempt!) aimed at the crypto space. It is this cycle of comments that remind us of Amara’s Law; we often overestimate the impact of innovation in the short term but underestimate it in the long run. Amara’s Law has a knack of trapping people into such rash remarks after the initial hype subsides, but just before the next wave of real development. Of course, fortune favours the brave. Efforts of those who have helped drive the emergence and adoption of new technologies have largely paid off. In 1994, Jeff Bezos was a Senior Vice President at D.E. Shaw & Co, a high flying firm on Wall Street. By all accounts, he was a star employee with an already lucrative career - and little reason to quit. But quit he did. 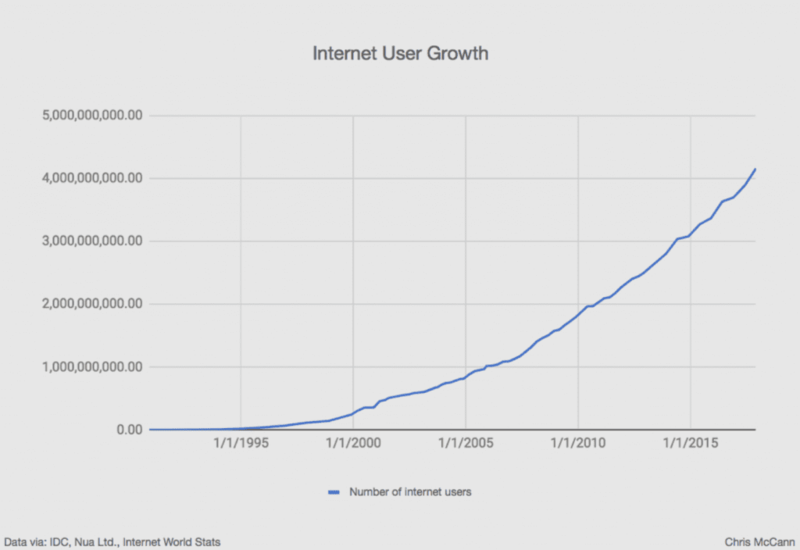 As Bezos tells it; "I came across the fact that Web usage was growing at 2,300% per year. I'd never seen or heard of anything that grew that fast, and the idea of building an online bookstore with millions of titles--was very exciting to me." Now, two decades later, Bezos’ online bookstore is the world’s second most valuable company. But again, this was never a foregone conclusion, at least not to investors. Amazon's value as a company cratered in the dot-com bubble. At one point dropping 95% from its all-time high. In fact, following the crash, it took Amazon’s stock 7 years to recuperate its losses. Over that same time period, the internet grew by a factor of 4. It’s worth considering that fact again. Over a period of 7 years, the value of Amazon did not change. Yet, the network on which it relies, the infrastructure on which it exists - grew from 361 million users to 1319 million users. Obviously, there is a disconnect here between technological impact and market reality. Perhaps even more interestingly, is Bezos’s response when asked about this period. Bezos quotes Benjamin Graham in saying that in the short run, the market is a voting machine--tallying up which firms are popular and unpopular. But in the long run, the market is a weighing machine--assessing the substance of a company. Following the dot-com crash, Amazon preferred to follow their internal metrics for growth, rather than look to the stock price as an indicator for performance. The company continued to forsake profits in the pursuit of growth, with the belief that the market would rationally value the company (and it’s rapidly growing user base) fairly in the long run. Keeping in mind lessons from Amazon and forgetting crypto-asset prices, what might indicators of crypto adoption look like? An obvious starting point might be the number of bitcoin wallets. 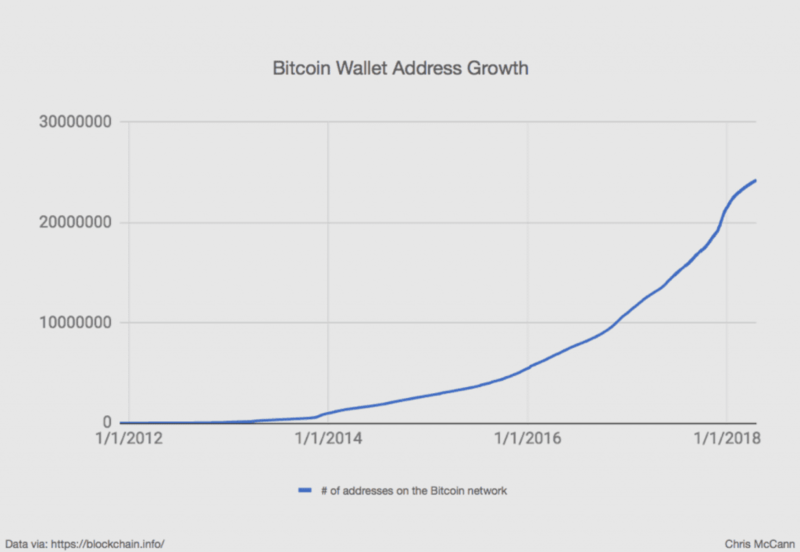 As shown below, there is been a tremendous increase in the number of wallet addresses this decade. People who store crypto on exchanges are even harder to trace — 1 wallet address does not equate to 1 user on the exchange. Some exchanges create a wallet address for each transaction. Perhaps aggregating public user published by exchanges would be a better measure of the ecosystem. 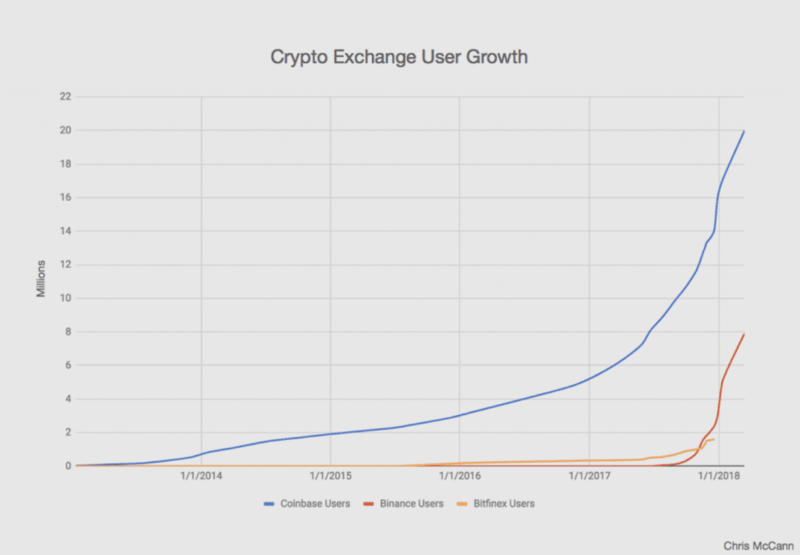 Below we can see a surge in user growth on the world's most popular exchanges over the past 24 months. However, again this data is not perfect. It does not lend insight as to the activity of these users and we do not have data from the hundreds of other exchange platforms that exist. 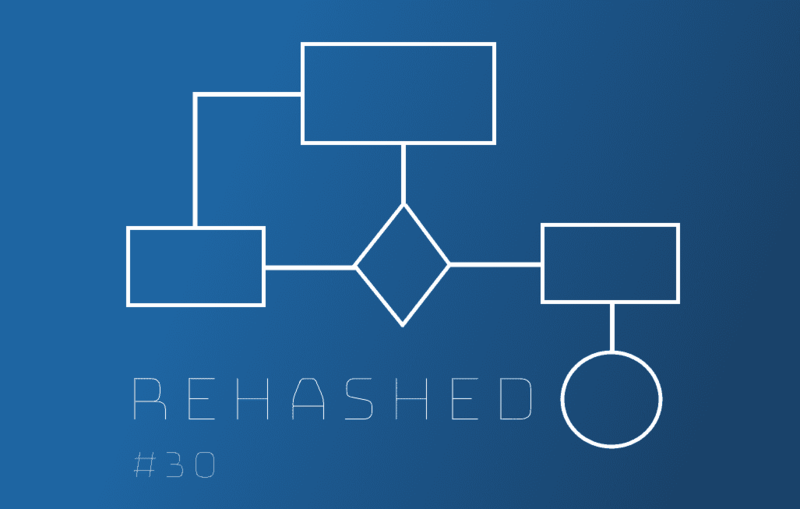 Furthermore, as decentralized exchanges continue to develop, it’s probable that there may be a growing number of crypto users that are not registered to anyone exchange. Knowledge is power, and just like the emergence of the internet, those who have insight into measures of crypto adoption (or lack thereof) will certainly be better placed when weighing its potential impact upon humanity. We would do well to remember Amara’s Law in our assessment of the blockchain space. Forecasting technological change is almost impossibly hard and nobody is an expert. From a market value standpoint, the only sensible course is to acknowledge the imminence of the initial hype and remain aware of the later scepticism. Fidelity, one of the worlds largest asset managers, is pushing into crypto with its new business Fidelity Digital Asset Services. There has been a 300% increase in the number of jobs related to bitcoin, cryptocurrencies, and blockchain over the past year. Looking for a list of Bitcoin documentaries? Look no further. An eToro Analyst believes Bitcoin could be on the verge of a move higher. Colleges and universities continue to receive donations in bitcoin, even though some are not sure how to accept them.